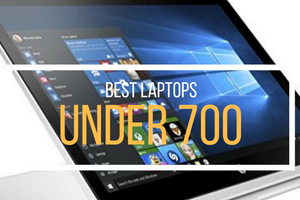 Today’s convertible laptops are thinner, sleeker and more practical than ever before. And it’s arguably thanks to the iPad upping the ante on tablet design, which conveniently brings us to the Dell Inspiron 13 7000. At ﬁrst glance, you could mistake it for just a normal laptop. The only indication something is diﬀerent is its hinges that lets you push the screen back 360 degrees. But while today’s convertible laptops are a step up from the previous decades, they still have some minor issues. That said, the Inspiron 13 7000 makes for a solid laptop on its own, and at around $600 for the high-end Core i7 model, it’s excellent value. The tablet features are just icing on the cake. 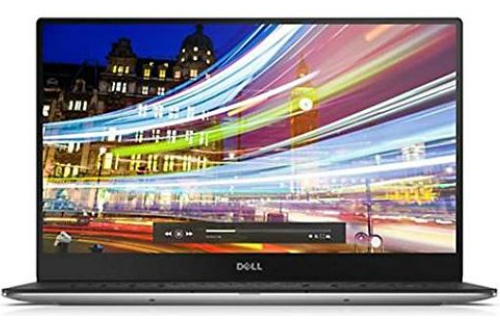 Dell has a reputation of making value-packed machines that are not necessarily much to look at. 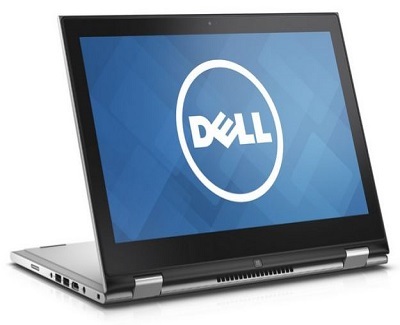 The Dell Inspiron 13 7000 is a solidly built machine that’s also easy on the eyes. When you ﬁrst pull the machine out of the box, you’ll be greeted with a black dell logo centered in a gray chassis with matte-black lid. The soft-touch plastic feels good and provides the laptop an added touch of elegance. Dell opted for sturdy metal hinges on the Special Edition of this laptop, and they seem to add to the laptop’s overall robust feel. Magnets in the palm rest help keep the screen closed, but occasionally they worked a little too well. Flip open the lid, and you’ll ﬁnd a brushed metal palm rest, complete with chamfered edges that makes the corners soft that way they won’t be an issue into your wrists. This notebook also has a full-sized keyboard (minus the numpad) and a spacious multi-touch trackpad. The power switch resides on the right edge of the case, along with a rocker switch to adjust the volume. The right edge also houses a USB 2.0 port and an SD card slot. On the left edge, you’ll ﬁnd the power port, an HDMI port, two USB 3.0 ports, and a microphone/headphone jack. The laptop uses a chiclet-style keyboard – like those you’ll ﬁnd on Apple’s notebooks – and Dell claims that it is water resistant (but we certainly doubt it). 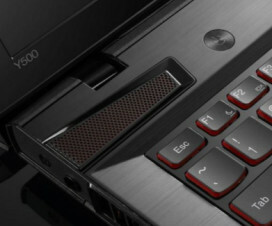 Although the keyboard holds up against small splashes, you don’t want to spill your drink onto it or submerge it in water any time soon… It’s also worth noting Dell trimmed some of the keys within the area of the keyboard deck, which includes the backslash key, which is a bit narrow than usual. A spacious trackpad provides enough room to move around on. 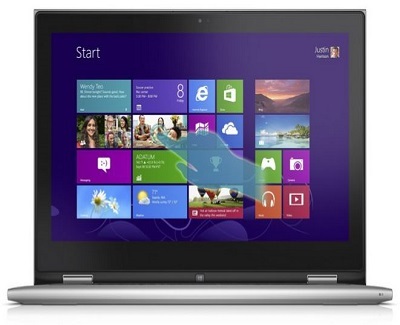 For more traditional users, Dell also allotted a right-click area in the lower-right corner of the trackpad. Size-wise it has a compact footprint. At 19mm thick, it isn’t bulky, but it isn’t as slim as other, comparable notebooks. 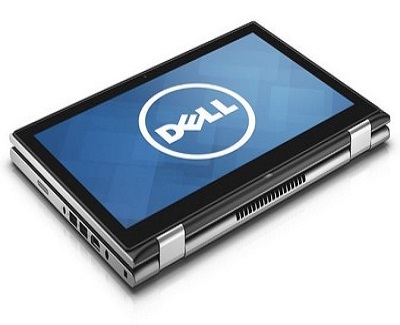 According to Dell, its battery will run up to 9 hours between charges. But generally, we had around four-five hours of continuous usage mostly while writing, streaming videos and browsing the web. If you’re looking for all-day battery life, this isn’t the machine for you. The unit is built around the 13.3inch, 1,920 x 1,080-pixel multi-touch display. Text and photos are crisp and sharp. It isn’t the brightest of screens, but it’s bright enough for indoor use. 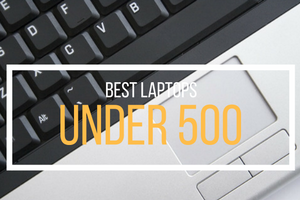 The downward-facing speakers on the laptop are average. They don’t have the crisp audio quality, but they’re clear and loud. That’s about all you can expect from a built-in audio on a laptop. As for the multimedia features, it has a built-in webcam 720p, can be found right above the screen: Images seems a bit fuzzy, but it can handle low-light situations very well. 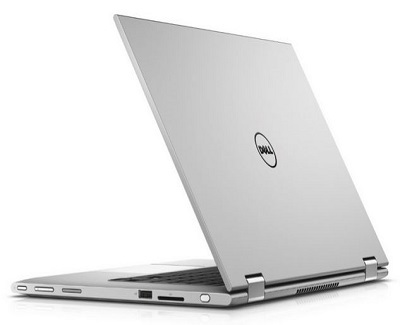 Dell bundled some useful apps with the Dell Inspiron 13 7000, such as McAfee’s Live Safe security, Dell’s customary support and system recovery tools and Skype. The laptop also comes with a 1-year subscription to Dropbox’s 20GB cloud storage plan. Dell’s system tools popped up a few times, as did McAfee’s software, but the machine is otherwise free of bloatware, toolbars and unwanted notiﬁcations. 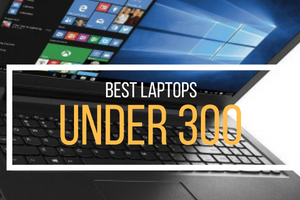 First thing’s ﬁrst: this is an all-around solidly built laptop. Its soft-touch and metal surfaces give the device a premium feel, that it’s sturdy and well-constructed. We enjoyed using the keyboard, and the screen provided accurate contrast and color. The laptop’s metal hinges seems as though they’ll be able to handle plenty of wear and tear. 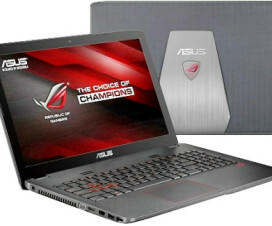 And although this laptop won’t be able to replace your gaming PC, it should ﬁt the bill for light gaming needs. 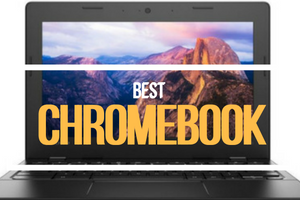 However, we disliked that the machine is a little heavier than its peers, which may be problematic if you plan to frequently use the machine as a tablet. But the bigger issue here is the battery. Despite Dell’s battery-life claims, the battery don’t seem to be at par with its competitors, making this machine a less-than-ideal choice if you rely on a laptop that can get you through an entire day on a single charge. Despite its shortcomings, we’re pleased with what this machine oﬀers, especially when it comes to build quality and overall system performance. 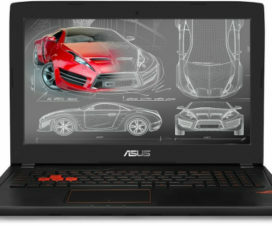 It’s fast, it’s slick–and it will change your perception of convertible notebooks. It’s a great solution if you need a fast, compact notebook to tote around (if you’re studying, for example). But, if battery life and weight are your primary concerns, though, you’d be better oﬀ with HP’s Spectre x360. Premium 2-in-1 notebooks typically don’t sell at affordable prices, but the Dell Inspiron 13makes a case for sub-$800 convertibles.